The files below are unofficial and have been provided by various A World at War experts. They are intended to protivde play aids, help explain the rules, add-on to the rules, or provide strategies and guides. Bill Kohler Bill has created a bunch of player aids. They cover a wide variety of topics and they are all useful. These player aids are 'unofficial' but should be 100% accureate. If you have any questions or find any mistakes, please let Bill know so that he can update them. Global RPs (GS-AWAW) Mark Yaeger Mark has updated the Excel Research Records file that was originally put together by Eric Scheulin to account for the various rule changes over the past 10 years or so. With this file you enter your research allocations and die rolls and the Excel formulas automatically take into account all of the various die roll modifiers and works out the result as well as modifiers for subsequent rolls, etc. Mark has also created a second version of the Research Excel file for GS-AWAW. You enter GS data (when the war breaks out, whether the atom was split in GS, and how many steps of research each side has completed in each GS research project) and the Excel file is appropriately updated with starting research modifiers, indicates when research in various projects can start, etc. 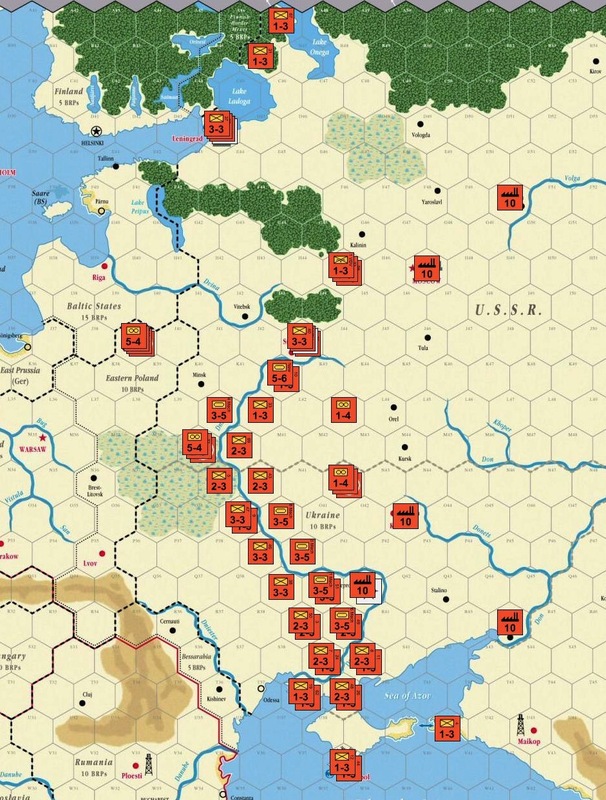 Johnny Burlin A Barbarossa initial turn defense strategy for Russia that will drive the Germans crazy.